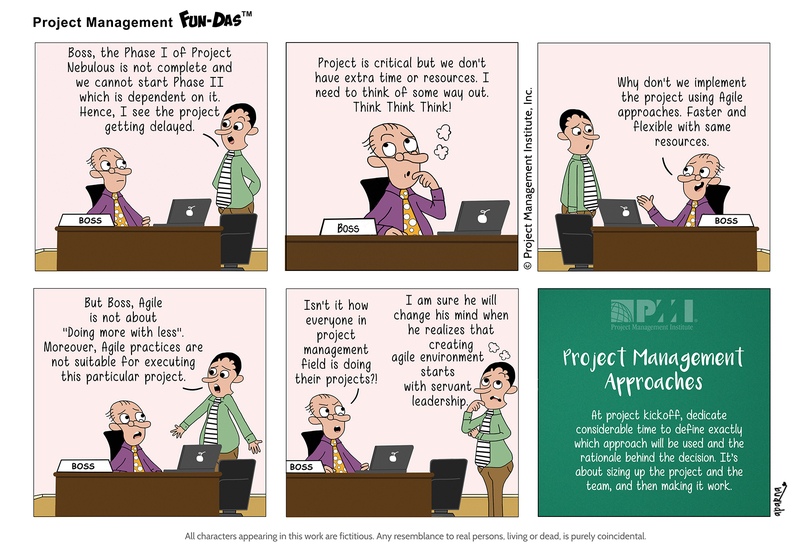 3 Search Results for "#Project Management Approaches"
Boss: Is your project ever going to see the light of the day... It has crossed its deadline already and the client is getting frustrated... Sort it out ASAP!! 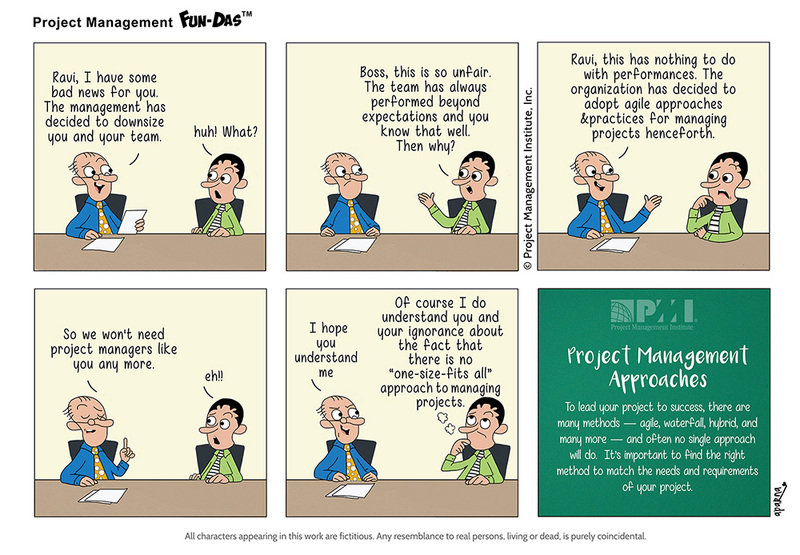 Project Manager: Ok.k..Sir.. Some time later... Boss: What's with that stick in your hand? Project Manager: I am making the project management tool resolve my project issues. Project Management While project management software facilitates in planning scheduling, cost control, communication, etc., it cannot be depended on, to get your project out of doldrums.